Welcome back with Bali's blogpost! 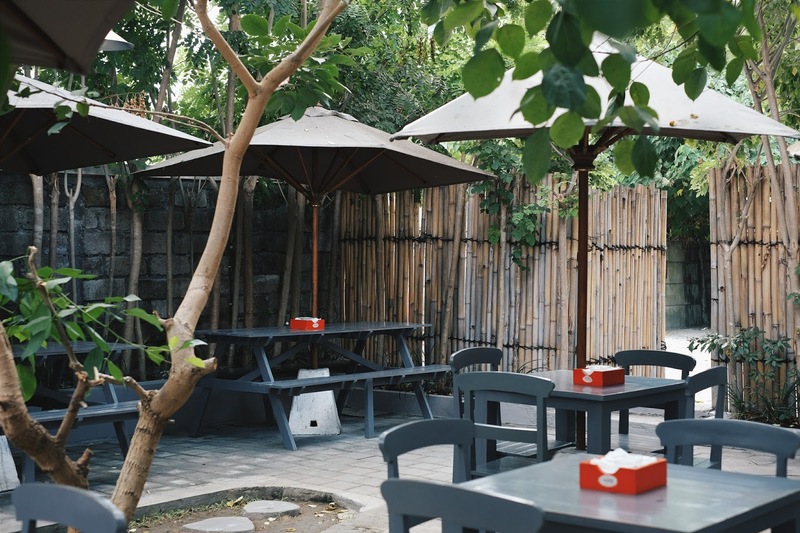 Another recommended place in Bali and I think most of you have already familliar with this spot and seriously it's a heavenly place and a must visit in Bali. 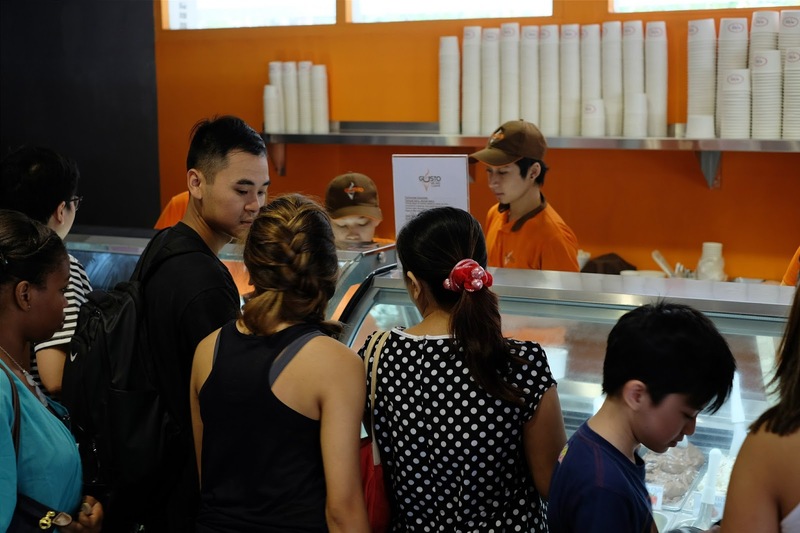 I recommend you to come here in sunny day because you'll find it's more more more suit yes GELATO !! 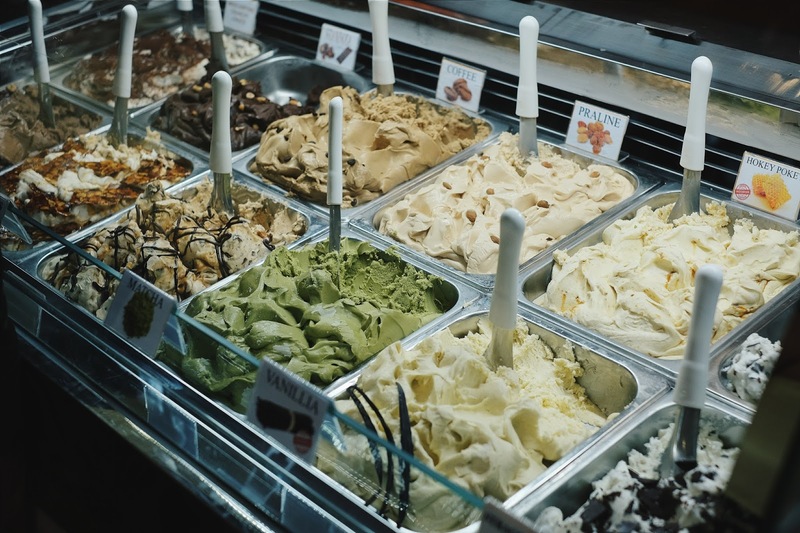 Who don't like gelato? 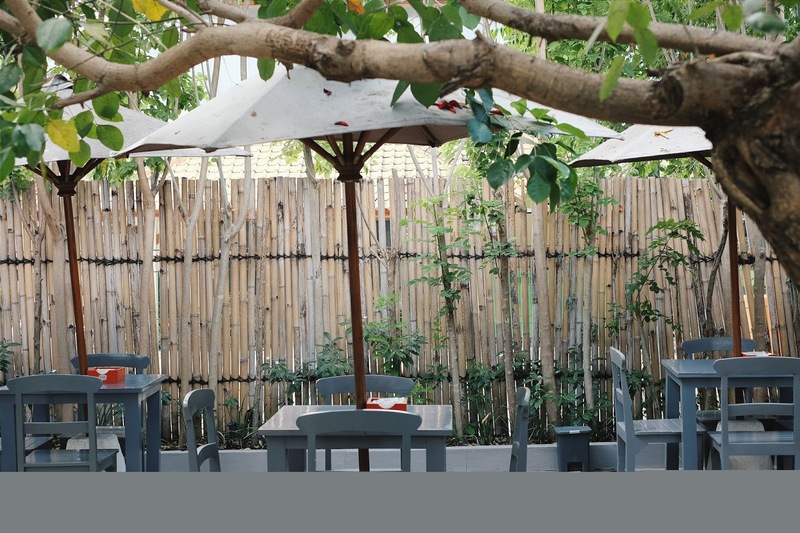 No one I think, when in Bali I recommend you to visit GUSTO Gelato & Caffe. 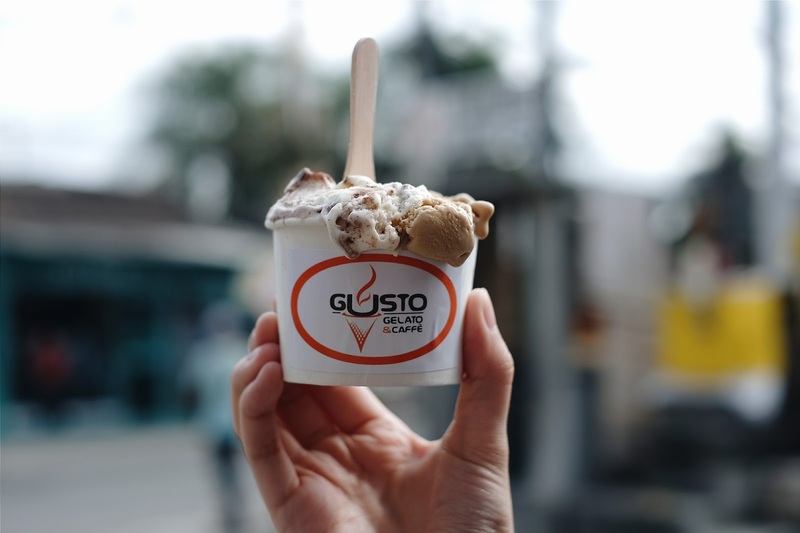 I never skip GUSTO Gelato & Caffe when visited Bali, it's such a lovely place for hangout and if you just want to grab some gelato it's just fine too, because their gelato is full of satisfaction. As you can see they have quite comfy backyard for you to take a seat and chit chat while enjoying a scoop of Gelato hmmm sorry I think one scoop won't enough. 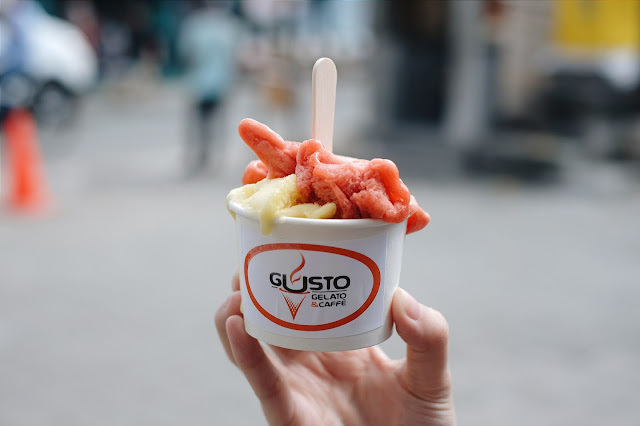 Well, GUSTO Gelato & Caffe is located at Mertanadi St, Kerobokan still in North Kuta area and nearly Seminyak, they located in quite good area and really reachable. So when you enter this cafe you have to order and pay directly. 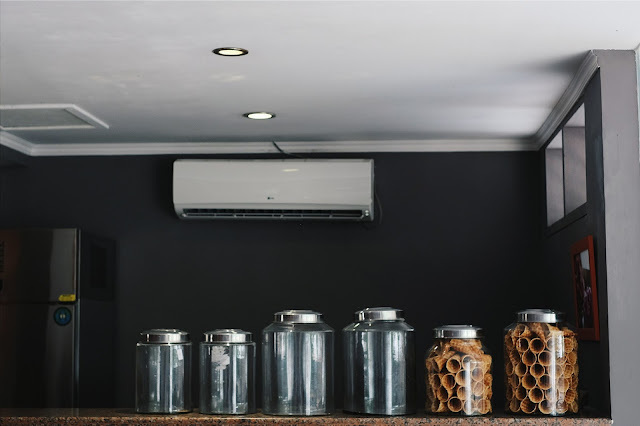 Usually the owner handle of it and she's a really humble and nice person, you can any size you want, using cone or cup it's up to you and after that you need to give the receipt to the waiter and pick what you want! OMG I want that all!!! 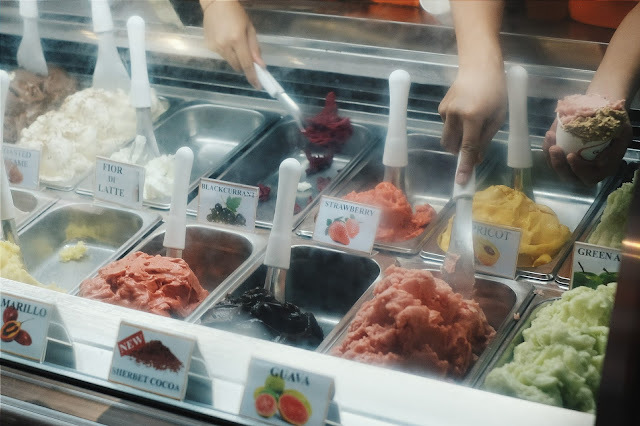 THEY HAVE LOTSA FLAVOURS OF GELATO AND SORBET !! 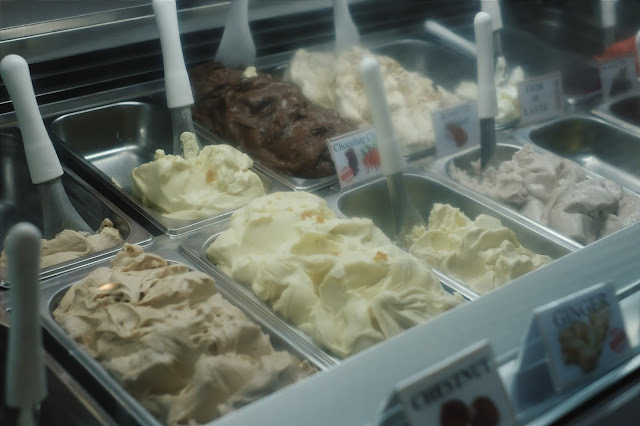 Basically what makes it different is gelato using milk and sorbet doesn't contain any cream or milk, so it more fresh and usually they come in fruity taste but here they also have some unique sorbet like chocolate sorbet, can you imagine chocolate ice cream with no milk in it? They have over 20 flavours of gelato and here's some of my favorite ;) anyone for the small cup they only charged IDR 22.000 that you can mix two flavours and IDR 26.000 if you want to served in cone. I'm a big fan of coffee and I just can't go a day without coffee. 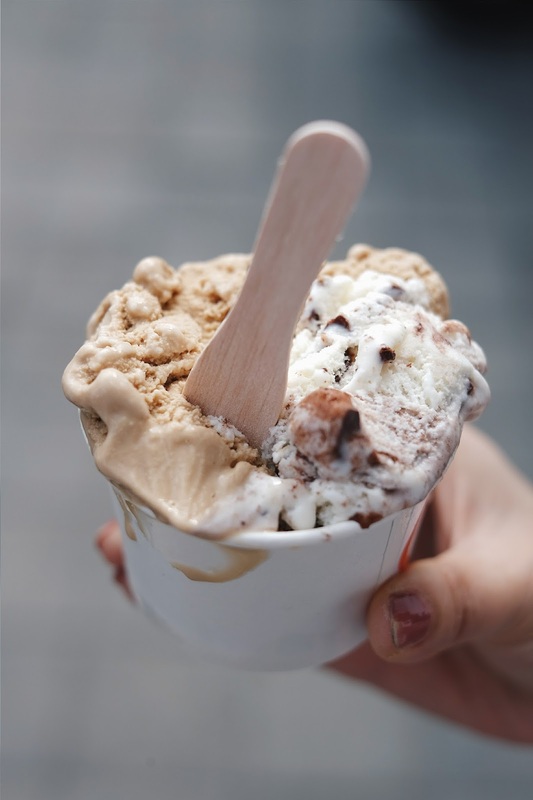 When see coffee gelato I also can't hold myself to not order and seriously GUSTO has amazing coffee gelato, the gelato was really soft and the coffee flavour really strong and turn out, they also rich on milk but the coffee still the dominant taste, so it's really good. 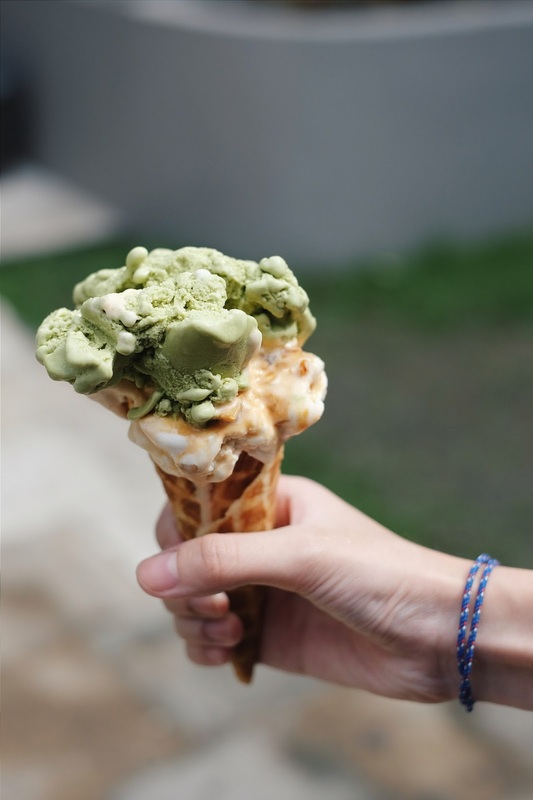 Actually it's my sister favorite, she ordered matcha & croccante gelato, I'm kinda underestimate with their matcha, but I was wrong. Their matcha was really good, strong flavour of matcha and not too milky while combined with special croccante they become a dynamic duo! 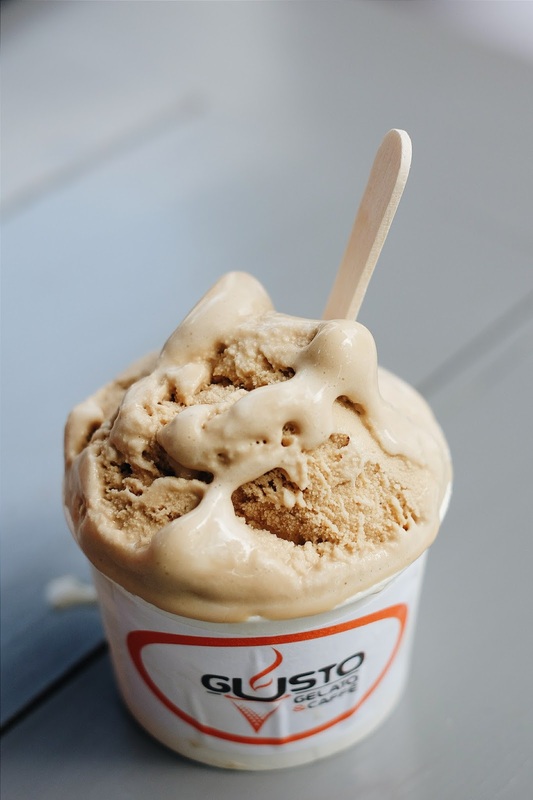 Croccante is vanilla based ice cream with almond brittle, the mixture of almond and caramel was so so damn delicious and memorable, a must try! Beside all that yummy gelato, they also have amazing sorbet. When talk about sorbet I always pick the fruity one even GUSTO also have chocolate and latte sorbet, unique but I need the fresh one like this strawberry and passion fruit, bascially I really like these two fruits so when it comes to sorbet they must be even better, good deal! Before leaving this comfy place I order coffee & tiramisu gelato and taste really blended together, the coffee gelato enrich the coffee flavour in tiramissu and I got that mascarpone cheese in every lick :9 Well this place is one of the place that you don't want to miss, so think about Bali, remember GUSTO Gelato & Caffe ! !